Did you know that the American Veterinary Medical Association considers small dogs geriatric over the age of 7 and larger breed dogs geriatric over the age of 6? This may surprise many dog owners, but it should be no surprise that careful attention to health and wellness is a must as your dog ages. No one likes to think that our dog is getting older, but the sad truth is that we will outlive our dog by countless decades. Grey muzzles, hair color changes, and decaying teeth may be outward physical signs of aging, but internally, health and mental changes are also likely to be happening. 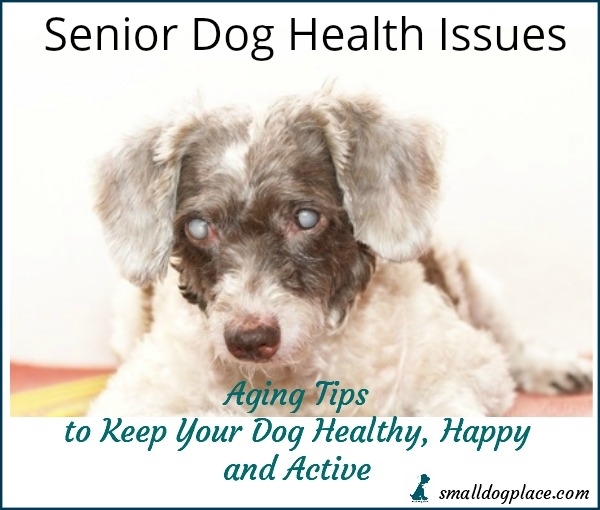 Knowing common health problems, warning signs, and practical tips and ideas will equip you with the tools you need for keeping your senior dog healthy and happy for a long time. Do remember, that many small breed dogs live upwards of 15 plus years and many make it to nearly 20 with the proper care. Before we give you some useful senior dog health tips, let's look at some of the health issues that are common in the aging canine population. Joint inflammation is common among senior dogs and can cause difficulty with rising, sitting, standing, and walking. You may notice your dog limping, favoring one side, avoiding stairs, or exhibiting pain when being picked up. Painful arthritis which prevents your dog from being active can lead to additional health issues like obesity, diabetes, and heart disease. Normal wear and tear of the kidneys with aging as well as bladder ruptures and kidney stones can lead to a decrease in kidney function which causes waste and toxins to build up in your dog’s body. Watch out for frequent urination, accidents in the house, if your dog is drinking more water than usual, rapid weight loss and loss of appetite, vomiting, and loss of energy. Canine Cognitive Dysfunction Syndrome is similar to dementia and Alzheimer’s in humans in that it leads to memory loss, confusion, disorientation, and personality changes. A senior dog with cognitive dysfunction from a loss in brain cells may walk in circles repeatedly, stare blankly into space, forget its name and tricks it’s known for a long time, forget where to go to the bathroom, and even not recognize familiar toys. Dogs develop cancer almost as much as humans, and it is the number one cause of death for senior dogs. As always, cancer treatment is most successful the earlier the cancer is caught. Myriad symptoms can indicate potential cancer growth including new lumps or bumps on your dog, slow healing sores, changes in weight, blood in stool or coming out of the mouth, nose or ears, as well as fatigue, bowel troubles, and difficulty eating. Eyesight deterioration can naturally accompany dogs as the years roll by and can be caused by cataracts, general wear, and tear, or other conditions. If you notice your dog bumping into things or falling, a white coating over your dog’s eyes, red or itchy eyes, or even dilated pupils, you may be witnessing early signs of vision loss. Just like with humans, dogs may experience age-related hearing loss that affects their ability to use their senses properly. A decrease in responding to their name or commands as well as changes in behavior like not perking up to visitors or knocks on the door may indicate they do not hear well anymore. Unbalanced levels of thyroid hormones can result in an array of symptoms in older dogs including sudden weight gain, problems with skin and coat, lack of energy and lack of mental vitality. Once diagnosed, hypothyroidism is typically treatable with the administration of synthetic thyroid hormone. Heart disease weakens a dog’s heart muscle, making it harder for them to circulate blood around their body and even breathe. Signs your dog might have heart disease include difficulty breathing and coughing, especially at nighttime, as well as exhaustion from even the mildest walk or exercise. When the pancreas has trouble producing insulin or the body’s cells become insulin-resistant, dogs can develop diabetes, which can be life-threatening if gone untreated. Frequent urination, increased thirst, weight loss, blurred vision, infections and sores that won’t go away, as well as fatigue can all be signs of diabetes. Diabetes can be hereditary, and some breeds are more at risk for developing it in late age including Samoyed, Cairn Terriers, Pugs, Miniature Schnauzers and Toy Poodles. Aging dogs may also begin to exhibit noticeable behavior changes which indicate an underlying medical development or condition. If you notice any of these, the best advice we can give you is to contact your veterinarian. Any one of these behaviors may or may not signal a major health crisis. 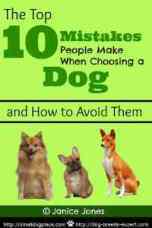 But any behaviors or actions which send off little alarm bells in your head should be addressed by a veterinarian as soon as possible. They can evaluate your dog’s condition, discuss concerns with you, and order tests as needed for possible diagnoses. Make it a priority to pay closer attention to the health and wellness of your aging canine companion - are they taking a little more time to stand up or go on walks? Can you feel any new bumps or lumps on them? Do they seem to be confused or losing their appetite? Recognizing early signs of age-related wear and tear or illness can help you formulate a plan of action with a veterinarian before things get out of hand. Regular veterinary checkups: Did you know vaccine needs change for your dog as they age? Or that supplements may aid arthritis or digestive issues? Routine check-ins with your dog’s vet can help you stay on top of your pup’s health, as well as equip you with the knowledge and tools to tackle any age-related conditions or illnesses which may arise. 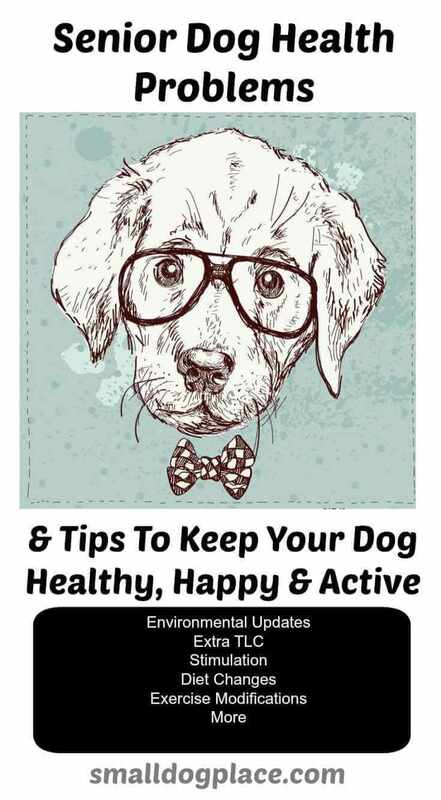 Environmental updates: Updating your dog’s living and exercise space can play a significant role in keeping your aging pooch healthy and happy. Just as an older adult might use disability dressing aids to simplify the task of putting on clothes each morning, a senior dog may find assistance with tools like dog stairs and steps that help them reach a bed, a dog lift harness, or a doggy ramp. 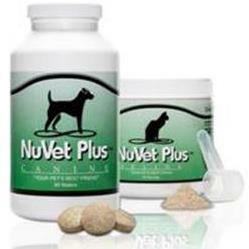 One of the many senior dog health tips we can give you involves your dog's diet. Older dogs may require dietary changes to make eating and drinking easier on their older throat and stomach muscles. Lower-calorie dog foods prevent senior dogs who expend less energy from putting on weight and high-fiber contents aid gastrointestinal motility. Older dogs are also more susceptible to water imbalance and dehydration, so making sure they get enough water every day is key to longevity. You may want to consider a Senior Blend if you change food. Continued exercise under the guided recommendation of your veterinarian will help your dog manage a healthy weight, keep bones and muscles strong, as well as remain socially active with other animals. Even dogs in their most geriatric years can enjoy going on walks, hiking, playing fetch, going to the dog park, and possibly even swimming. Interacting with other dogs as well as completing mentally stimulating tasks promotes robust brain health in your favorite four-legged friend. Visiting a dog park or going on doggy date walks with a friend and their dog are always good ideas. Problem-solving tasks like giving your dog one of the toys where you hide a treat in the center and they have to work at getting it out serves this purpose. Keeping your aging dog healthy and happy well into their Golden Years is possible! With keen attention to their physical and mental health, a thorough understanding of warning signs to watch out for, and responsive care from your veterinarian, you and your dog will be set for success.